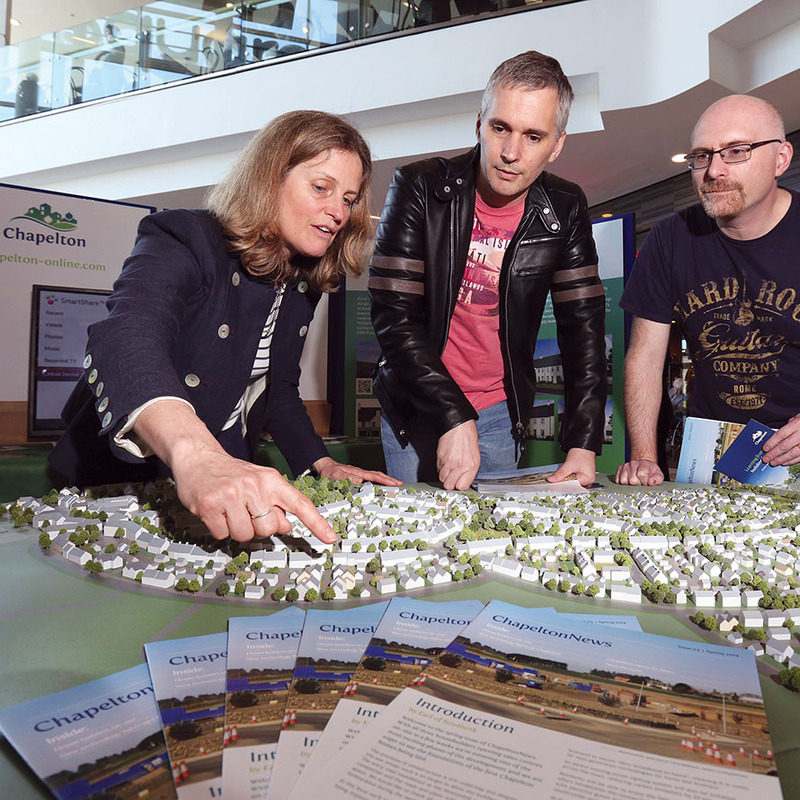 Public consultation has been key to the development of Chapelton. From the outset, the aim has been to involve neighbouring communities in order to understand public opinion and incorporate community facilities that are currently lacking in the area. Local participants have also provided ideas for design features in both the masterplan and the homes. The local community has been involved with every step of the design process, from the early development of the masterplan at the Charrette. (a ten-day workshop to which members of the public were able to have a say in the design of the new town.) This was followed by stakeholder reviews, a design studio open house and busy public meetings. Facilities such as the Retirement Village and a bistro have been brought forward in response to requests from locals and we continue to be open to new ideas as well.